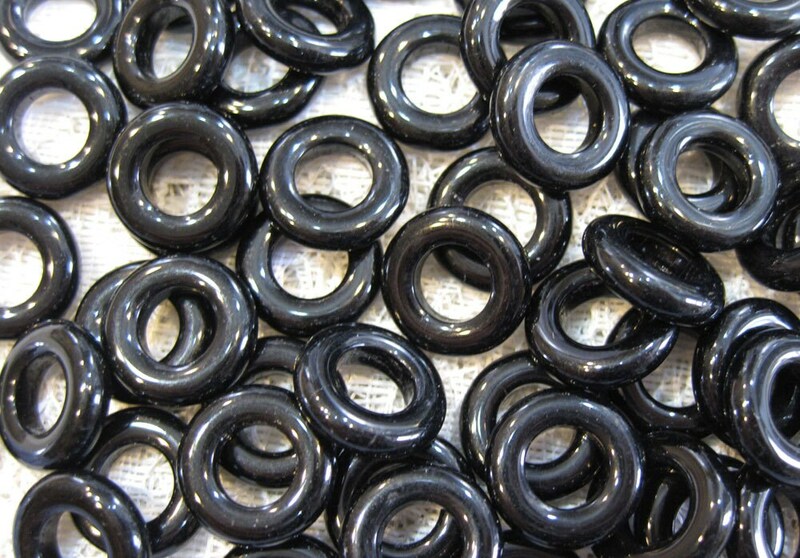 10 jet black Czech pressed glass ring links. These are a glossy jet black and measure 14mm. Inside diameter about 6mm. Use these for jewelry making, scrapbooking, fiber arts and more!